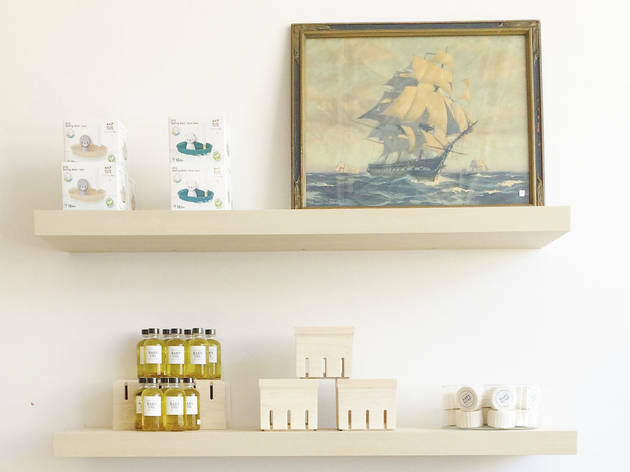 Trends come and go, but you can count on new Chicago shops opening every month. We're keeping track of the biggest debuts, from indie boutiques to the best outlet stores, so you can get through the doors and load up on the latest fashions before everyone else. Whether you're looking for the best bookstores, clothing stores or wanting to buy some great gifts, Chicago's new shops (and old ones, too) have you covered. Happy shopping! Mint Home's offshoot, Mint Mini, aims to help seriously stylish parents create imaginative spaces for their little ones. Here, you'll find rehabbed vintage furniture, rugs, artwork and more mixed with modern goods and decor. 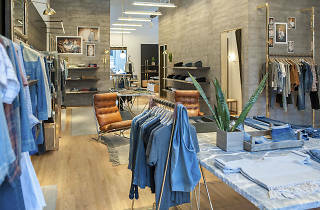 Spoke & Weal's new Lakeview salon marks the first Midwest venture for the company, which also operates esteemed locations in San Francisco, Los Angeles, New York and Palo Alto. The Chicago shop continues to live up to the hype, serving up excellent color and cuts using all-natural Aveda products in an industrial-chic setting. 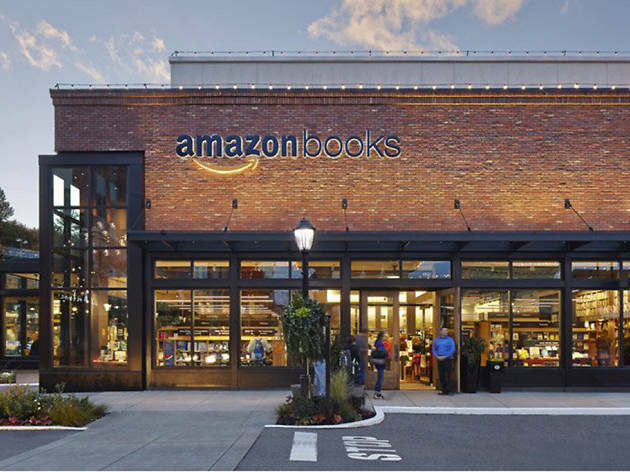 The long-awaited Amazon Books has officially opened its doors in Lakeview. 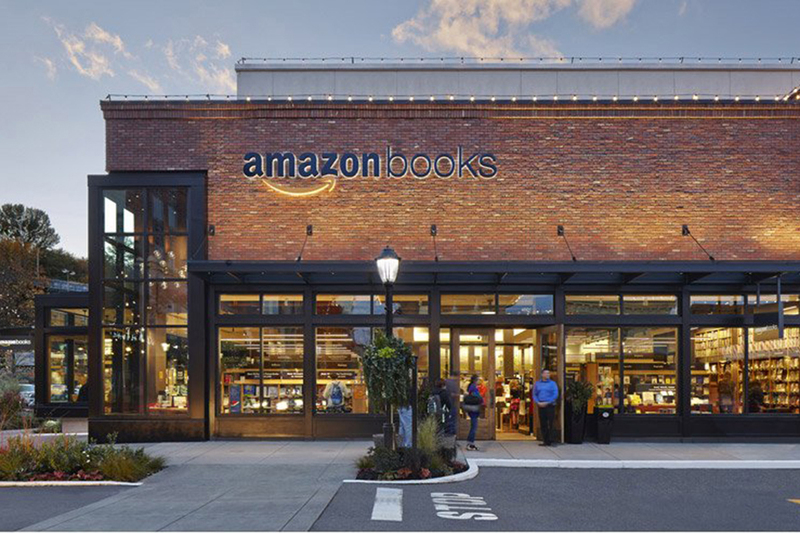 The idea behind the brick-and-mortar extension of Amazon is simple; it's a place where online meets offline. The store is stocked with titles based on Amazon.com customer ratings and displays them along with rating cards. Amazon devices such as Kindle, Echo, Fire TV and Fire Tablets are also available to test drive. While you're inside, make sure to grab a piping-hot cup from Portland-based Stumptown Coffee Roasters. The West Loop isn't exactly known as a shopping destination, but that's quickly changing thanks to additions like the massive new Free People location. 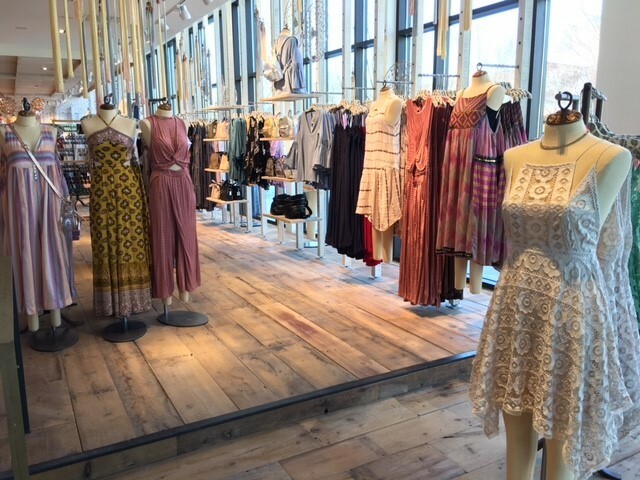 The lofty space boasts two levels, floor-to-ceiling windows, natural wood accents and, of course, the brand's lines of bohemian clothing, shoes and beauty products. Don't miss the wholesale showroom on the second floor. 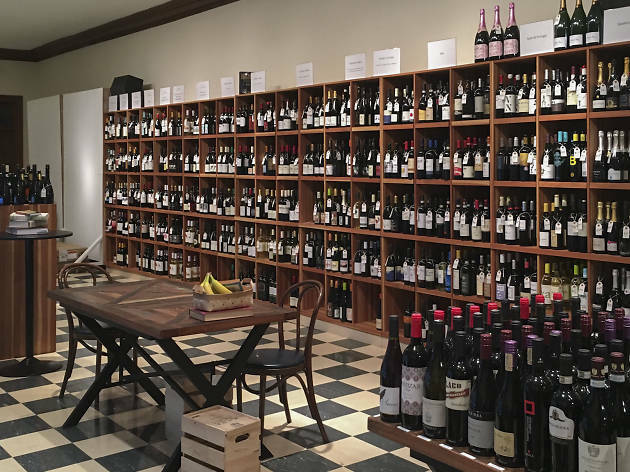 The term liquor store doesn't accurately describe this Logan Square newcomer. 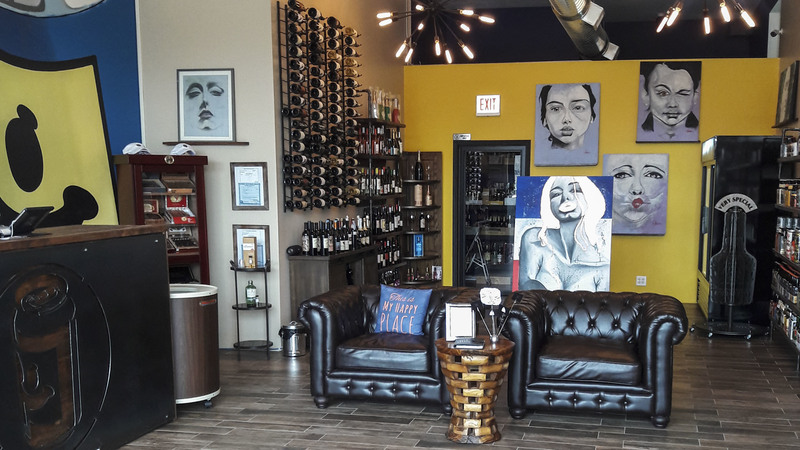 The concept is art-meets-booze-meets-cigars-meets-neighborhood-hangout. 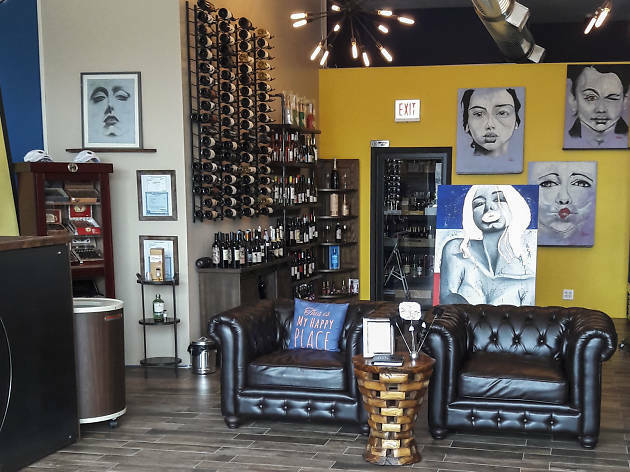 The shop features rotating local artists and a selection of liquor, wine and beer that you won't find just anywhere, with plenty of local labels, too. The best part? If you dine at any of the local partnering BYOBs, they'll bring the booze to you. 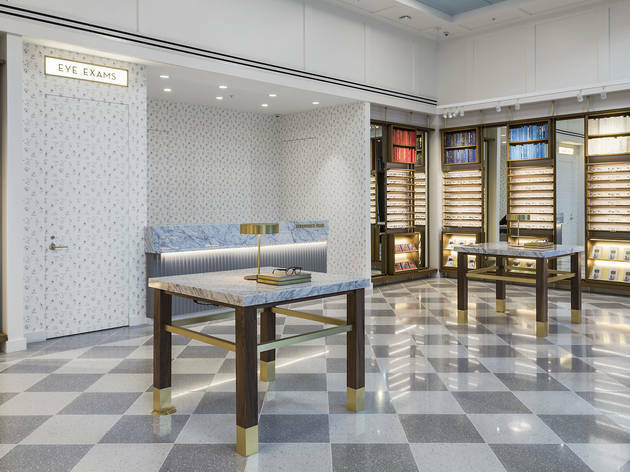 Known for its stylish and affordable frames and artfully designed brick-and-mortar stores, Warby Parker's new Gold Coast location is everything you've come to expect from the brand and more. 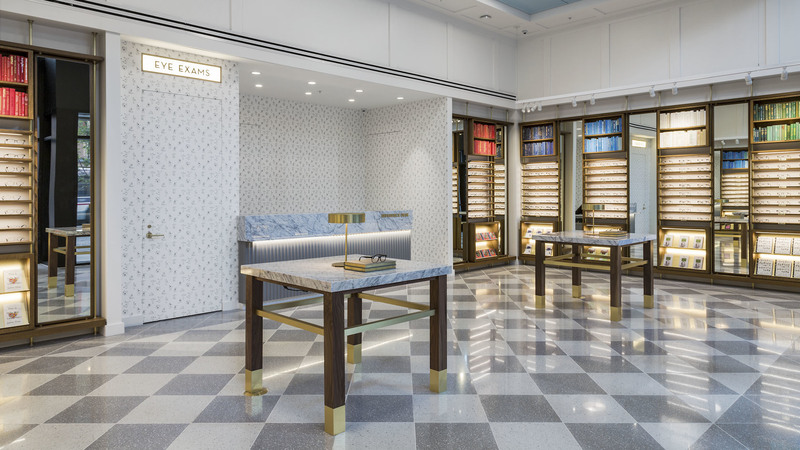 The space features historic gray and white terrazzo-tiled flooring, library-style walnut shelving, marble-topped tables with custom brass lamps and murals of the Willis Tower and John Hancock Center by artist Jason Munn. Get an eye exam on-site, or just shop the latest selection of eyeglasses and sunglasses. 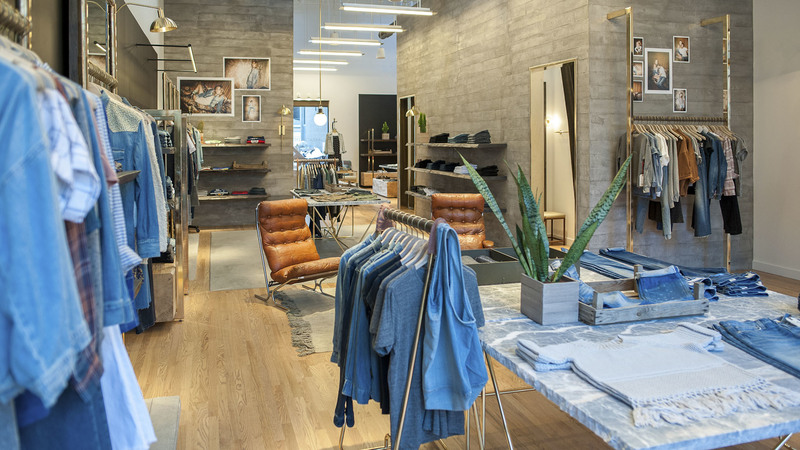 The second location to open in Chicago and one of the newest faces in Wicker Park, the 1,697 square foot Current/Elliott store houses the brand’s famed vintage-inspired denim, sportswear, full menswear range and one-of-a-kind pieces from Current/Elliott’s Loved + Found collection. 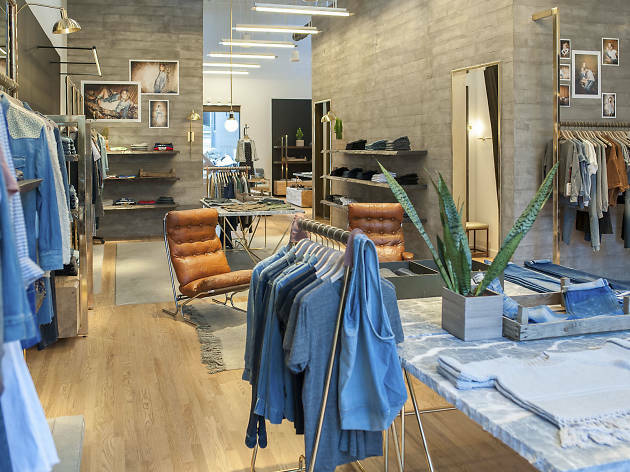 To compliment the look and feel of the clothing, the space boasts earthy details like reclaimed wood floors and benches carved from tree trunks. 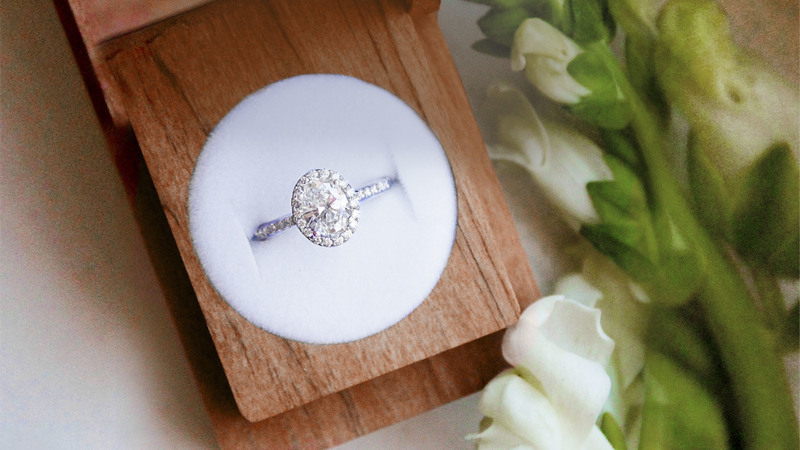 Oak Street's sparkly new addition brings ethically sourced bridal and fine jewelry to the Gold Coast. 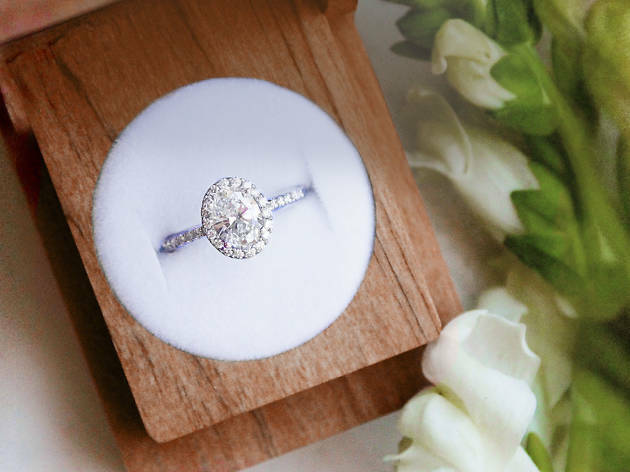 The 2,000 square-foot space is the first of the company's Midwest locations, stocking beautiful sparklers like engagement and wedding rings, diamonds, gemstones and vintage pieces—all ethically sourced and harvested using socially responsible practices. The brand also donates 5% of profits toward education, environmental restoration and economic development in diamond-mining communities. 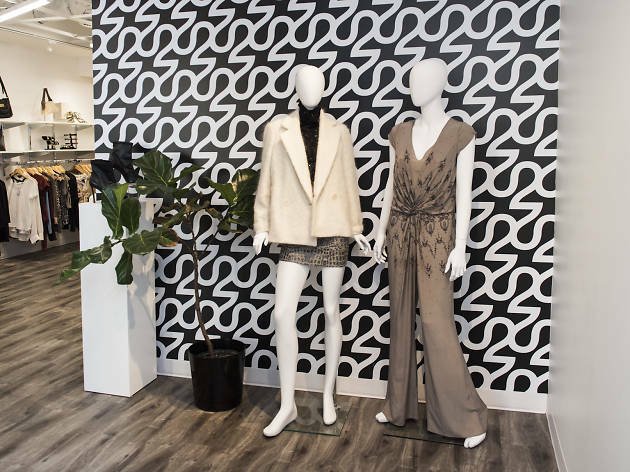 Oak Street isn't necessarily known for its great bargains or savvy steals, but 2nd Time Around's newest location on the dripping-in-designers strip is looking to shake things up. Here you can buy pre-owned name-brands at up to 80% off—from Rag & Bone to See by Chloe and, if you're lucky, even some Chanel or Burberry. 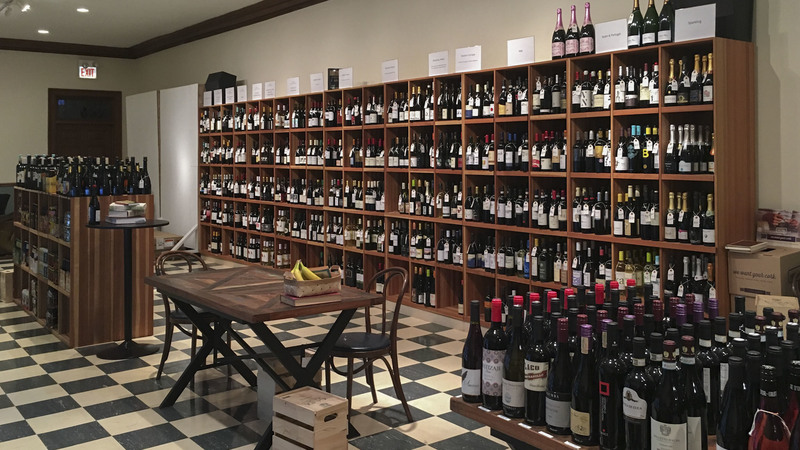 Unlike other resale shops, the 1,250 square-foot space is immaculately organized, easy to browse and clean. Stop in often to score the best gems–they go quickly! Bucktown is home to the newest location of this well-established furniture and home decor chain, where you'll find a wide selection of classic, modern and even vintage-inspired items that won't break your budget, such as tufted headboards starting at $249, industrial dining tables for $599 or sectional sofas starting at $699. 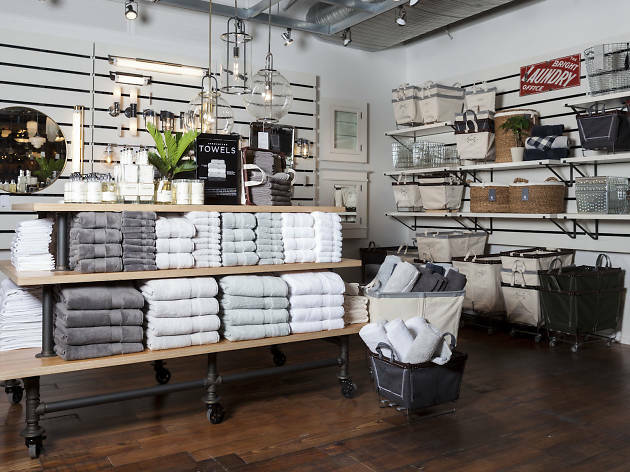 Value City Furniture also sells Joanna Gaines' Magnolia Home collection, which will please any HGTV junkie. 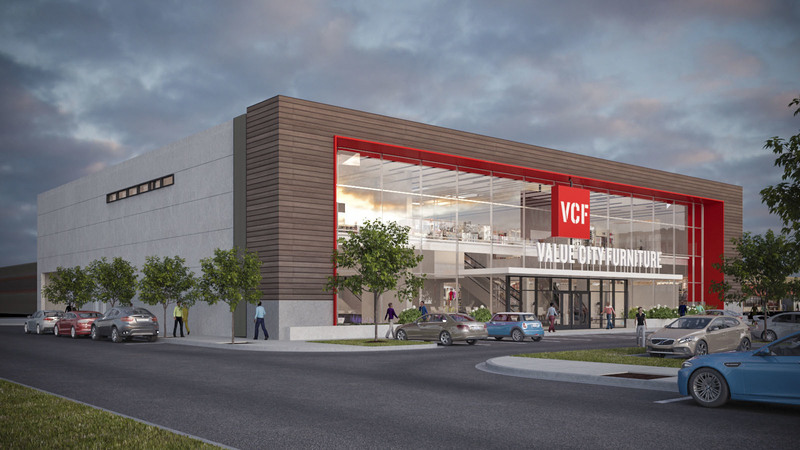 Another home decor hot-spot has taken up residence at North & Clybourn. 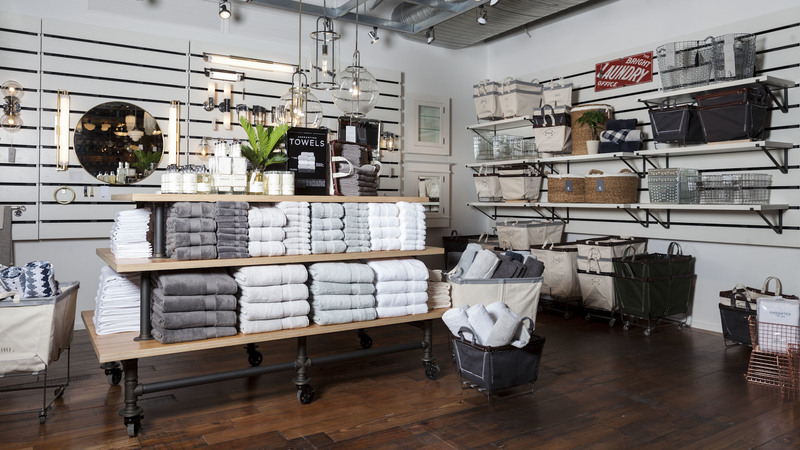 The 6,000 square-foot Rejuevenation store, owned by Williams-Sonoma, Inc., is the first in the Midwest. The hardware haven boasts lighting, kitchen and bath fixtures aplenty, but also stocks furniture and other items—both new and even some restored vintage—for every room in your house (or, very small city apartment). Collections are made-to-order, many of them in the company's Portland factory. The store also offers design services, if you're not the DIY type. Vintage lovers rejoice! 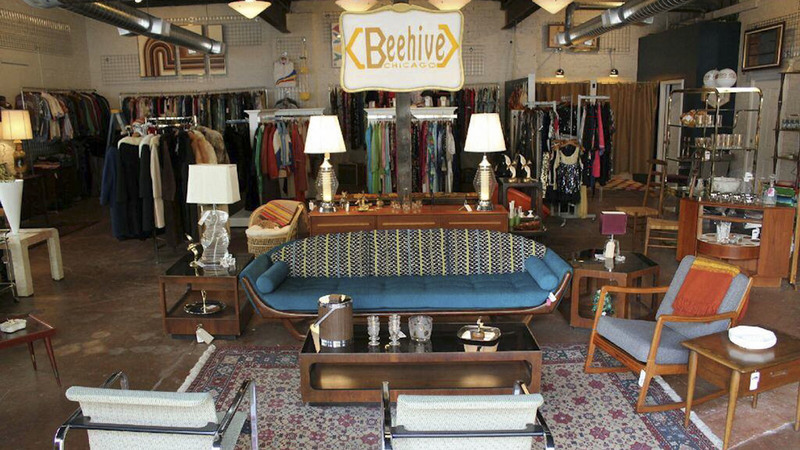 Beehive Chicago recently celebrated its grand re-opening in a new West Town space. 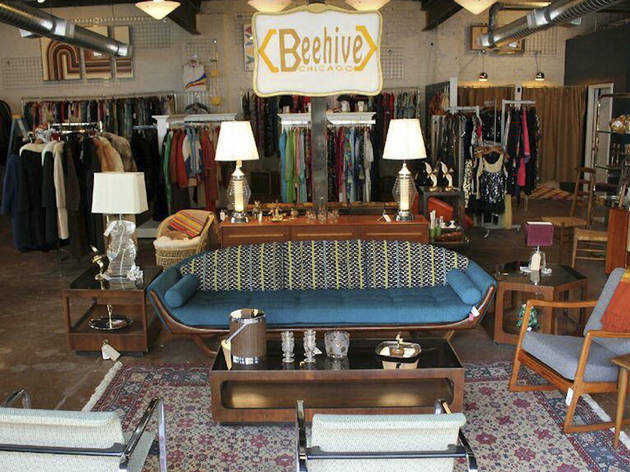 Not a flea market, not an antique mall, Beehive is in a league of its own. Think of this vintage shopping destination as a shared showroom between some of the city's best vintage dealers—including furniture, clothing, accessories and artwork—this spot has a bit of everything, artfully arranged (read: neatly organized, no junk rifling here!) in an industrial-chic showroom. 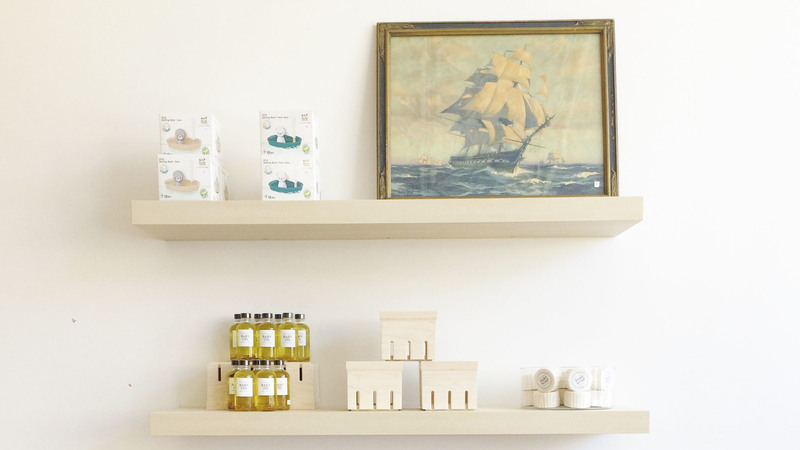 The only thing better than its well-curated selection of vintage goods? The prices. Come ready to find some bargains. 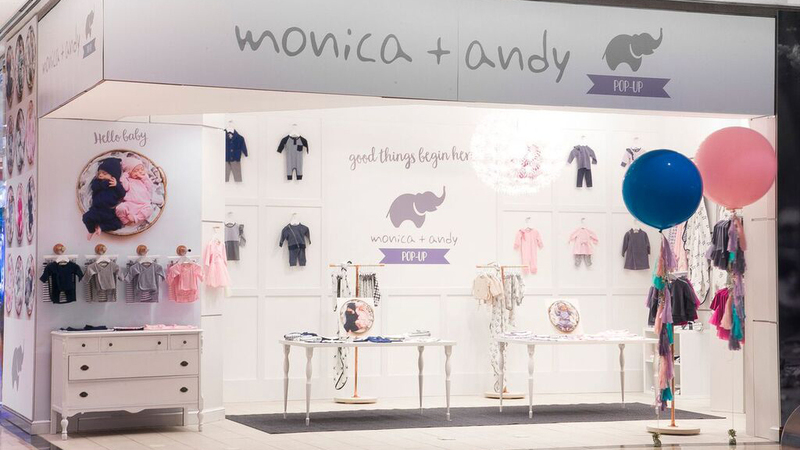 It just got easier to shop Monica & Andy's charming baby clothing, blankets and accessories this winter. 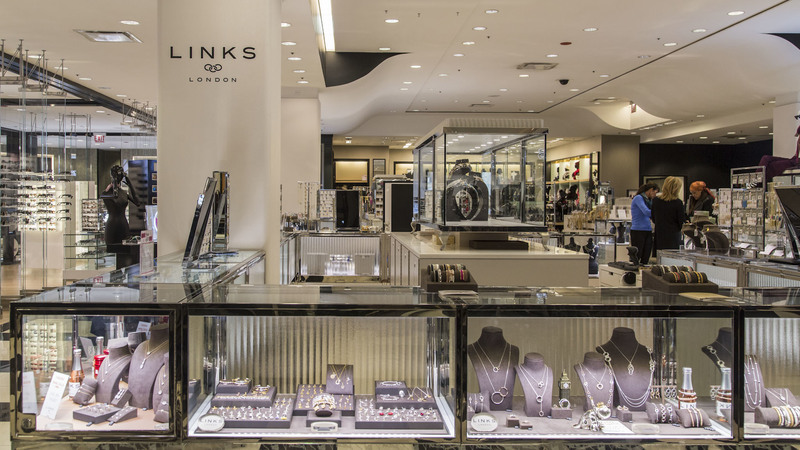 The Lincoln Park store recently opened up a pop-up on the 4th floor of Water Tower Place. 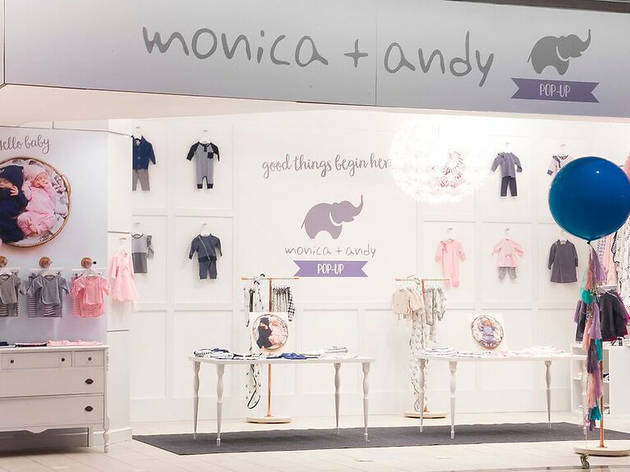 Merchandise includes the full Monica + Andy collection, featuring the brand’s signature bodysuits, one-pieces, tops, bottoms, sweaters, sweatshirts, hats, blankets and specialty items, like the Cherub Baby Sweater($48) and the Sweatshirt Moto Jacket ($58), which makes shopping for your favorite new mom or dad a whole lot easier. 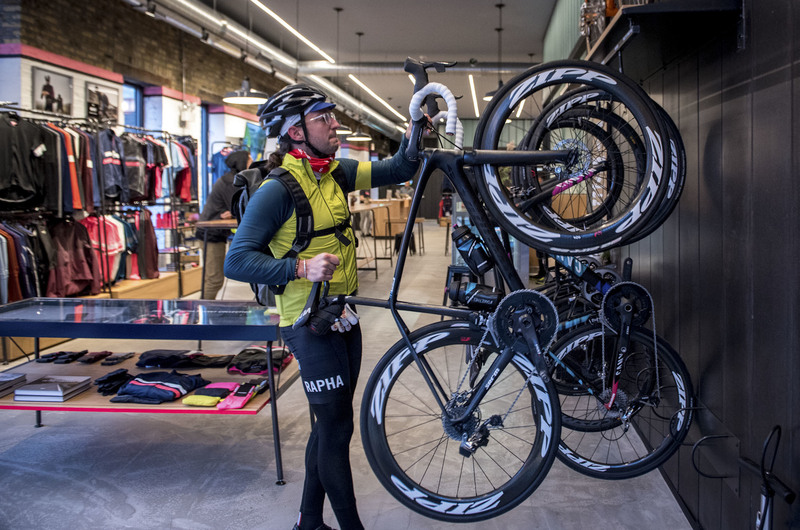 London-based cycling retailer, Rapha, has officially arrived in the Midwest with the opening of its Wicker Park clubhouse location. 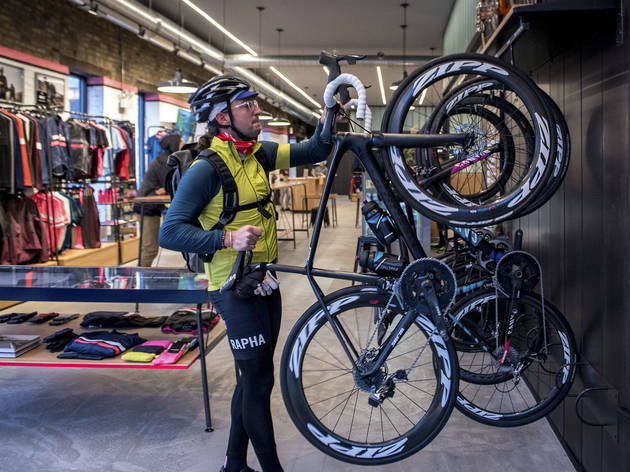 Rapha Cycling Club aims to serve as "the perfect home for the sport and culture of road racing"–combining retail, coffee and community. The space serves not just as a shopping destination for the finest cycling clothing, but a cafe, and a place for cyclists to gather and mingle. Rapha is always open to members and non-members alike, but for $200 per year, you can join the Cycling Club, which gets you perks like free coffee anytime, access to community events, special organized rides, and high-end bike rentals for $25 per day. 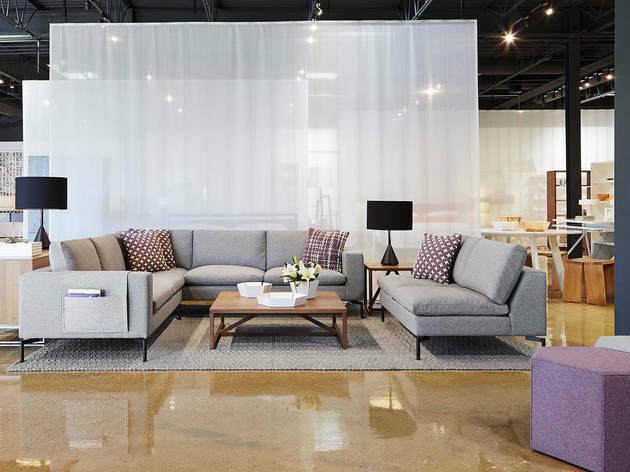 Lincoln Park's newest furniture store has set up shop in the former Lou Mitchell's space, bringing a modern and contemporary twist to the neighborhood's more traditional big-box furniture line-up. 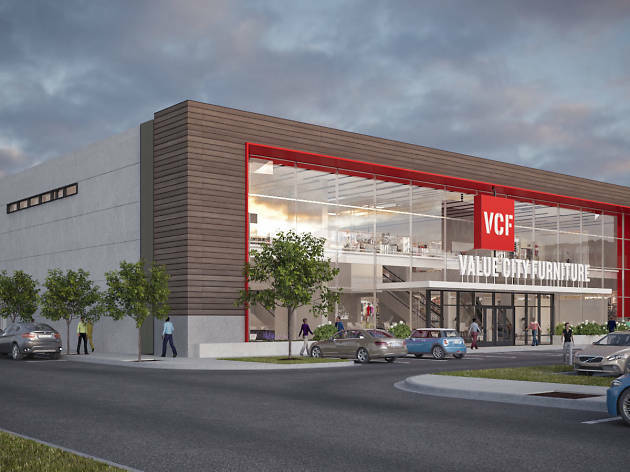 Spanning more than 7,000 sq ft, it's also the company's largest store. 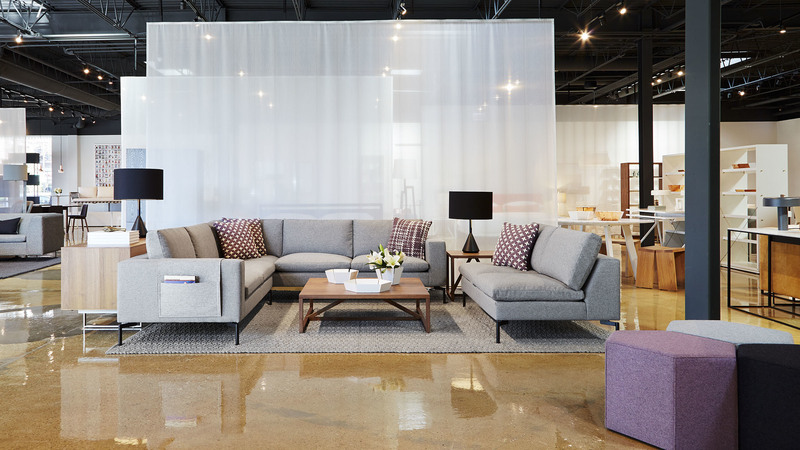 Easy to spot from afar with it's sleek facade, the store offers everything from sofas to dining tables, light fixtures to rugs, accessories, artwork, and more (at reasonable prices, too) all designed in the brand's Minneapolis studio. 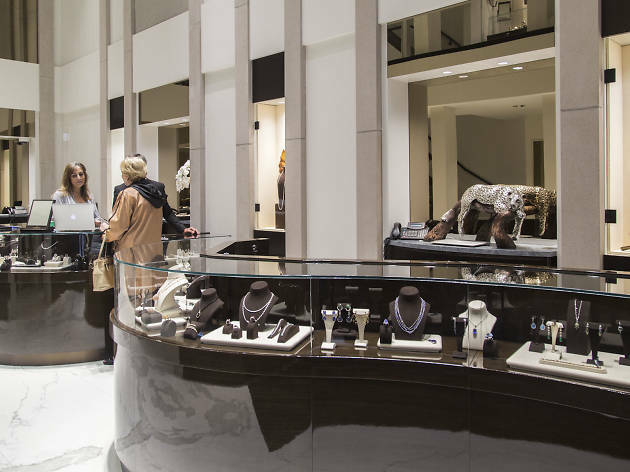 This jewelry company from across the pond is known for trendy friendship bracelets, layer necklaces and watches for women and men, and the shop has recently taken up residence on the Mag Mile. 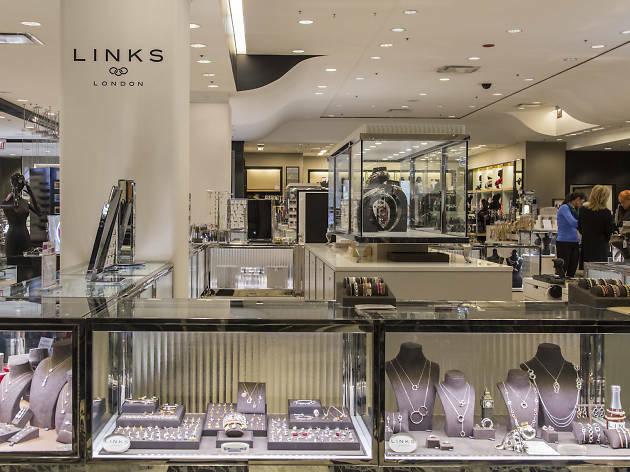 Stop by the brand's newest location inside of Bloomingdales to get your fix of stylish, Brit-inspired contemporary classics. 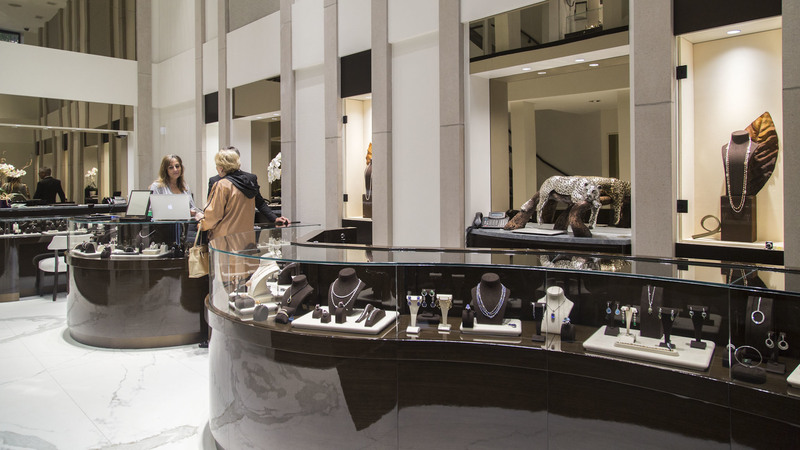 This iconic, fourth-generation family jeweler can be considered one of the original Oak Street staples, but when opportunity came knocking, the store couldn't resist a chance to move to a brand-new, 5,000-square-foot, four-story River North facility. Peruse the shiny new showroom and watch mezzazine, custom design a one-of-a-kind piece or even get your family heirloom restored in the design studio. The best part? All custom work is done on-site, in the state-of-the-art manufacturing facility. 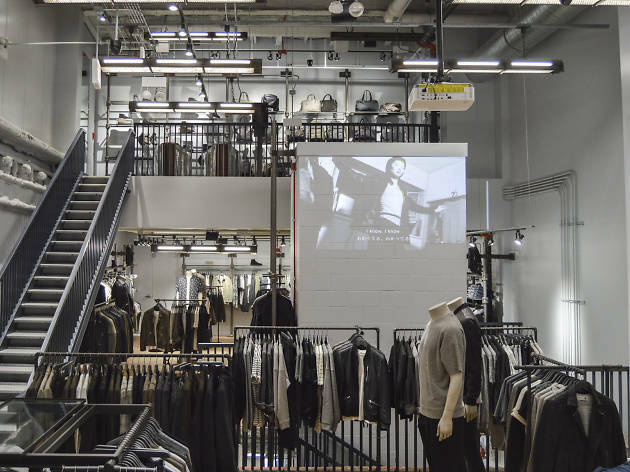 This British men's and women's clothing store has officially returned to the Windy City with a new Gold Coast storefront. Here, you'll find high-quality classics with a bit of edge—like leather biker jackets, super soft graphic tees and premium denim as well as the new Capital Collection line of handbags in pebbled leather, suedes and shearling patchwork in an array of neutral colors. As for the decor, there are, of course, the vintage sewing machines you've come to associate with the brand (88 of them to be exact). If you only set foot in one beauty store this year, make it this one. 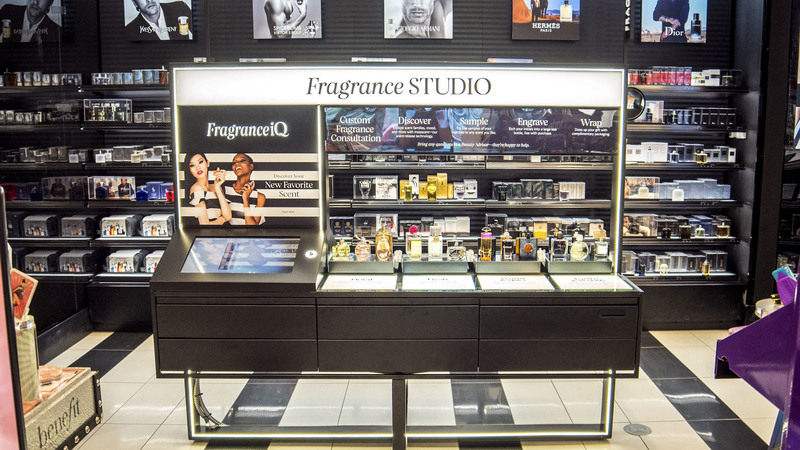 Sephora's new Michigan Avenue storefront is unlike any other—it's the first "Beauty TIP" (Teach, Inspire, Play) workshop store in the Midwest, to be exact. 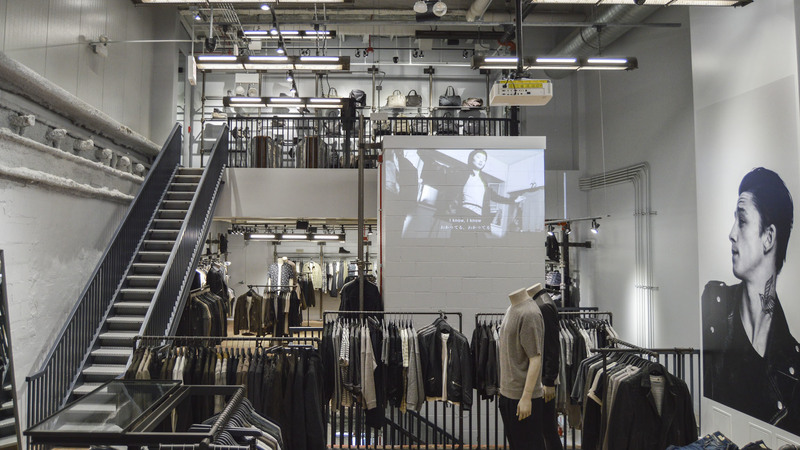 Not only does the 10,040-square-foot space boast more than 13,000 products, you can also learn how to use them there, through an interactive digital experience that serves up customized recommendations. At the heart of the store, you'll find the Beauty Workshop—akin to an Apple Genius Bar for beauty lovers. Here, shoppers come together with Sephora's beauty experts for tutorials, lessons and more in a super techy setting. 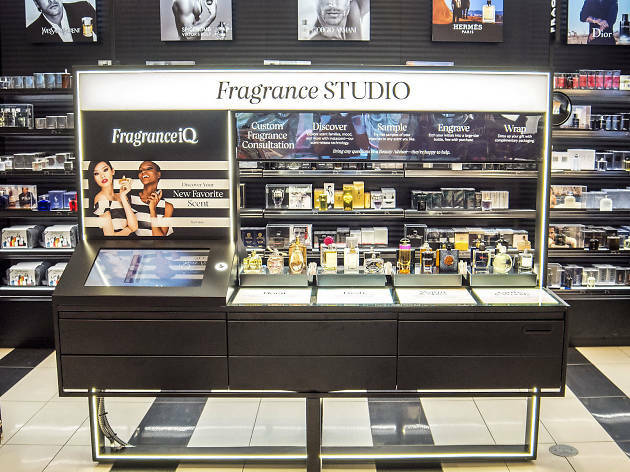 Then there's the Fragrance Studio, which allows you to identify your favorite fragrance families with a dry air delivery system, and the Skincare Studio, which, as you may have guessed, takes the mystery out of choosing the best solution for your skin. Basically, you've got to experience it to believe it.